Imagine drinking down a tall chilled glass of inspiration. That’s this book – full of dreams and power. Small bare feet. Big brave heart. Meet Solomon. Ten years old. Skinny. Ragged. Alone. On a twenty-mile desert race to save a life. Solomon loves to run. 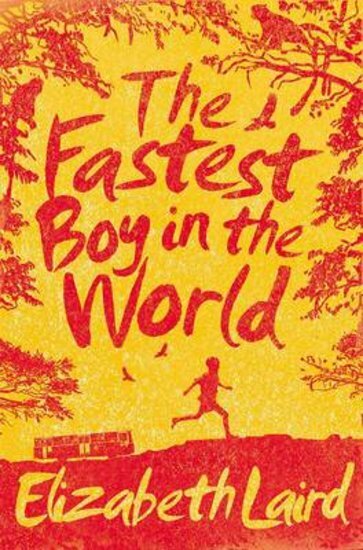 He dreams of winning Olympic medals – not that an Ethiopian village urchin like him will ever get the chance. But is victory about shiny trophies and being cheered by huge crowds? Or is it about pushing yourself to the very limits? No witnesses. No water. No stopping. When Solomon’s grandfather collapses far from help, Solomon faces a gruelling desert race. The prize: the old man’s life.